Famous fashion model Hira Tareen and the dashing VJ, RJ and actor Ali Safina are finally engaged after two years of friendship. Ali Safina popped the question to Hira Tareen, she said yes and duo got engaged in a small ceremony attended by friends and family. Hira Tareen and Ali Safina have been spotted together many times in the last two years, holding hands and giggling. “We were coordinating to make sure both of our families could attend our engagement. Everyone couldn’t make it but it was a nice small ceremony”, said Ali Safina. Hira Tareen calls Ali Safina her “best friend” and “one of the best human beings”. “I am super happy especially after all the warm wishes from family and friends from all over the world. Thank you all for making our special day even more special with your positivity and blessings,” wrote Hira Tareen on a social media site with her engagement picture. The couple is set to tie knot late in this December, “There’s no set date yet, because there’s a lot of planning to do,” says Ali Safina. 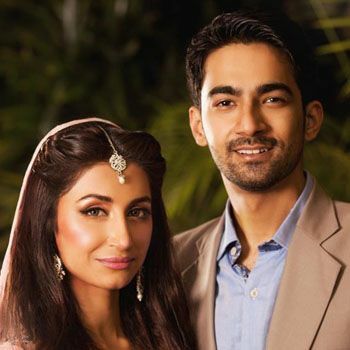 We congratulate Hira Tareen and Ali Safina to get engaged.